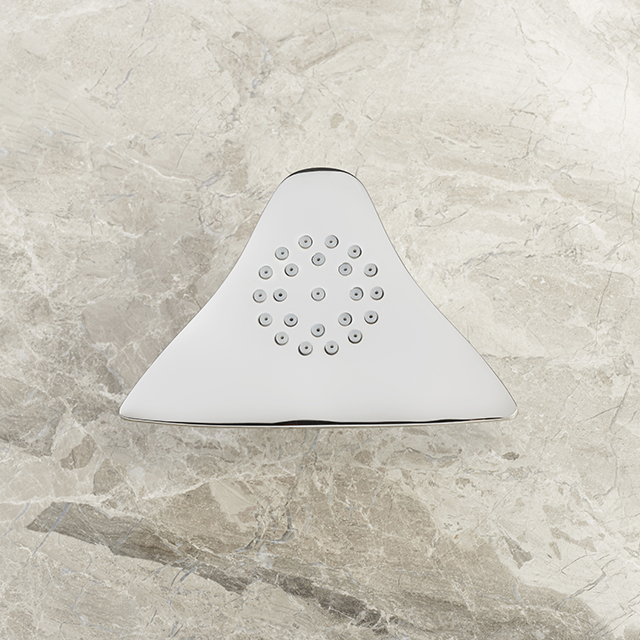 Sky style shower head with arm and flange. 2” diameter spray with easy clean jets. Uses 1/2” NPT inlet. Water saving 2.0 GPM shower head.